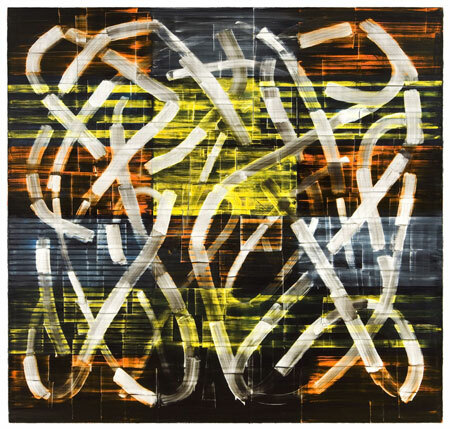 With my first exposure to Jordan Broadworth’s abstracts my mind initially went to Celtic knotwork, transit maps from foreign lands, and light painting. After a few minutes though, the works moved beyond those associations to become something of their own, something quite amazing and beautiful. Added bonus: Broadworth’s site contains nearly two decades worth of artistic output, I love going though time to see the evolution of a painter. This entry was posted on Monday, January 19th, 2009 at 8:54 am	and is filed under Oils. You can follow any responses to this entry through the RSS 2.0 feed. You can leave a response, or trackback from your own site.